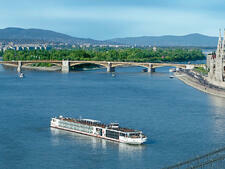 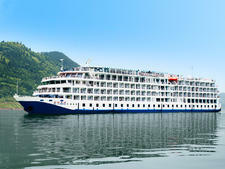 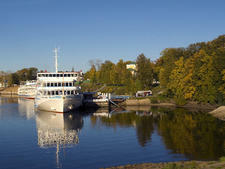 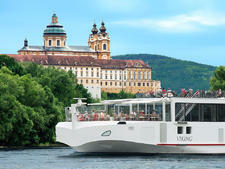 What first strikes you as you step onboard Viking Hlin, one of Viking's numerous Longship-class sisters? 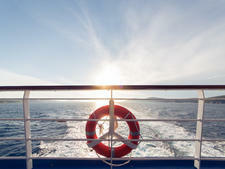 Sunlight. 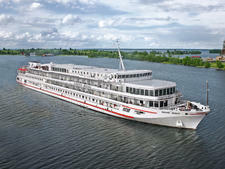 Streaming in through the glass-enclosed, two-story atrium is enough light to allow real flowers to grow. 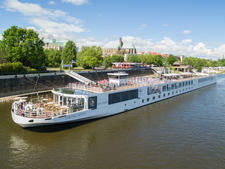 With backlit marble panels rising above a terrazzo floor and wood-and-glass staircase, and pale, earth-toned decor, the space has energy and natural appeal. 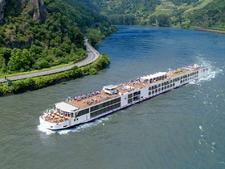 If the ambience reminds some of Seabourn's Odyssey class, that's not a coincidence -- the vessels share the same lead designer, Norwegian firm Yran & Storbraaten. 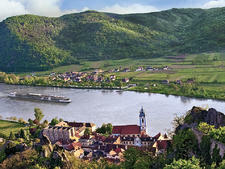 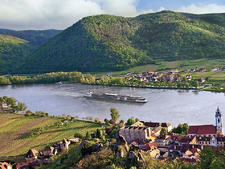 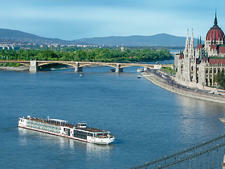 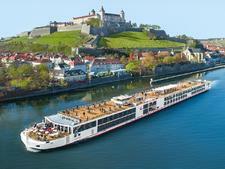 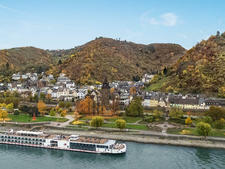 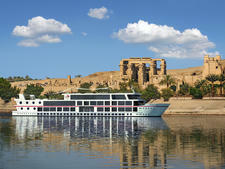 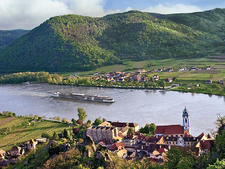 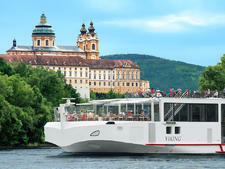 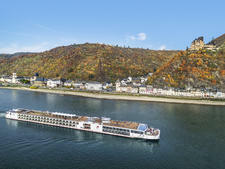 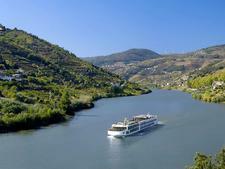 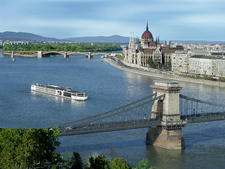 Beyond the airy vibe of its public spaces, Viking Hlin and the rest of Viking's longships float a whole raft of features that are true innovations in European river cruising. 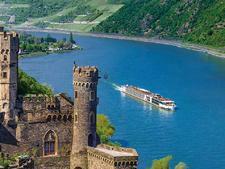 There is a sense of minimalism on Hlin and the other longships. 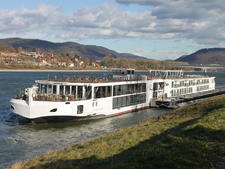 You can perhaps best see the efficiency and maximization of available area onboard in the surprising new signature spaces that have been conjured: the Aquavit Terrace, the two largest true suites on a riverboat in Europe (each with separate living room and bedroom), not to mention seven slightly smaller true suites with separate living and sleeping rooms, and an increased number of cabins with full and French balconies. 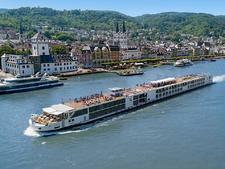 Less visible, but no less cutting-edge, are the ship's "green" advances, including hybrid diesel-electric engines which burn less fuel and produce 20 percent fewer emissions, making longships cleaner and quieter than their competitors. 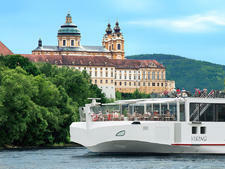 There are even solar panels on the sun deck that help to fuel the engines. 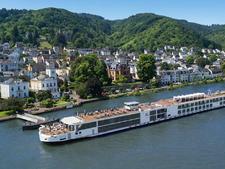 And the ship's chef maintains an organic garden on Hlin's upper deck during growing season. 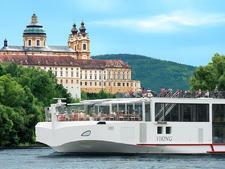 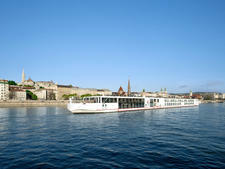 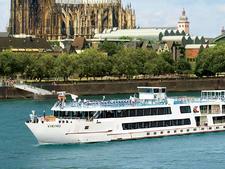 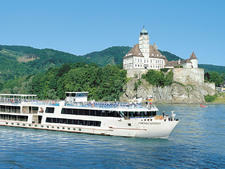 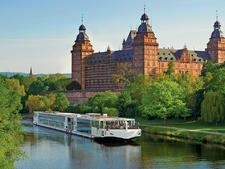 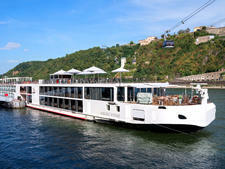 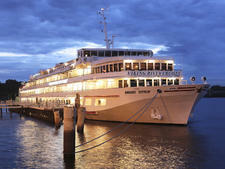 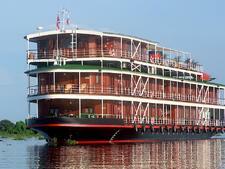 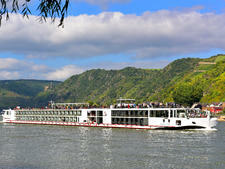 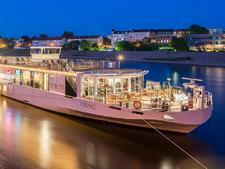 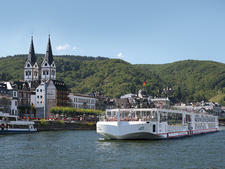 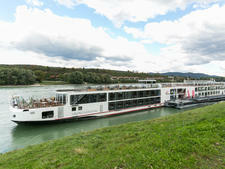 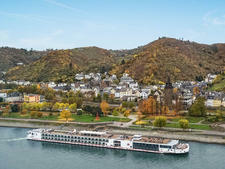 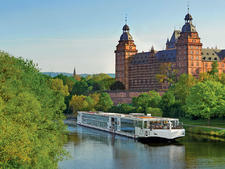 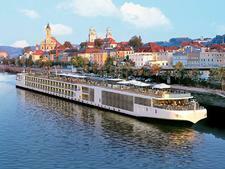 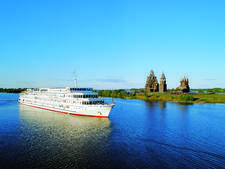 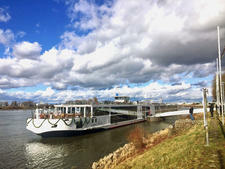 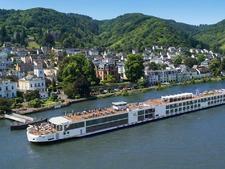 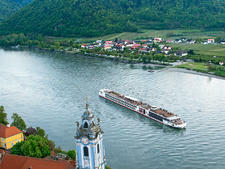 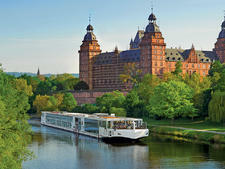 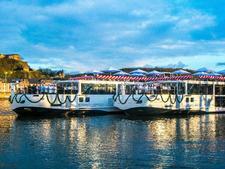 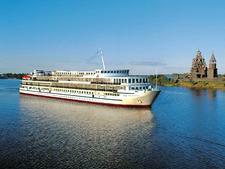 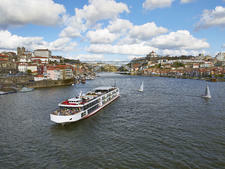 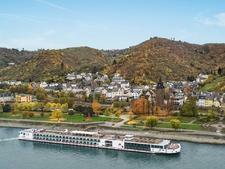 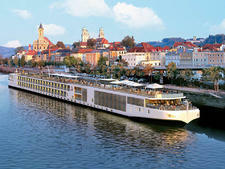 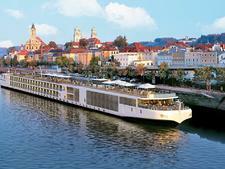 The general age for river cruise passengers is 60 and older, but Hlin and other Longships, with their contemporary design, were built with an eye toward attracting a slightly younger traveler. 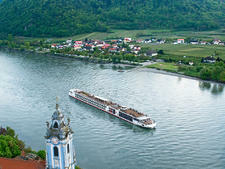 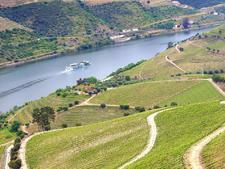 Regardless of age, passengers tend to be well-traveled (though many are visiting Europe for the first time).